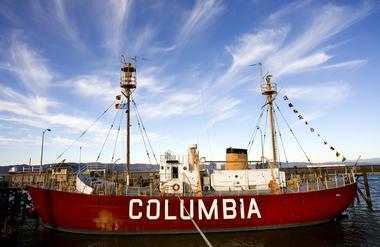 Columbia River at the Columbia River Maritime Museum, and enjoy the lounging sea lions on the docks at 36th Street. 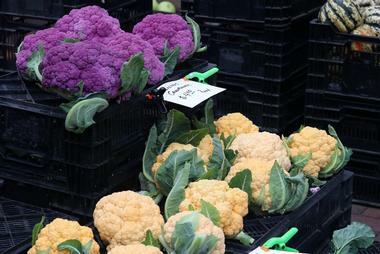 On the way, you will also see restaurants, cafes, breweries and the 14th Street Ferry. Hop on the 1913 trolley and learn from the volunteers about the history of the oldest American settlements on the West Coast. If you are lucky enough to come in August, you can enjoy front row seats to Astoria Regatta, the biggest festival on the West Coast. The Columbia River Maritime Museum was founded in 1962 to preserve the rich maritime heritage of the entire Columbia River region. The Museum’s collection, made up of artifacts collected since its opening, has grown to more than 30,000 objects, 20,000 photographs, and a research library with 10,000 publications. Together, they make the Columbia River Maritime Museum one of the most important sources of Pacific Northwest maritime information in the country. A range of different exhibits are featured and are designed to teach visitors about the history of the powerful forces along the Columbia River Bar such as the 40-foot waves that crash during severe winter storms. Celebrate the work of the Columbia River Bar Pilots and United States Coast Guards, and take a tour of the Lightship Columbia, a historic floating lighthouse. The museum offers a range of courses related to the Columbia River maritime culture at its Barbey Maritime Center. Astoria has a rich history that reflects the many influences the town has had from people and cultures around the world. Many of its current residents are descendants from early settlers, many of whom were Chinese and played a significant role in Astoria’s history especially in the canneries, railroads, and the jetties at the Columbia River. The Garden of Surging Waves is a city park that celebrates and honors the Chinese heritage that is found in Astoria. Visitors can better understand Astoria’s relationship with China over the years while relaxing in the beautifully structured public space which includes an amphitheater and large open spaces often used for outdoor performances and community gatherings. Standing 600 feet above sea level at Coxcomb Hill, offering spectacular view of the city, the Columbia River and Young’s Bay, the Astoria Column is one of 12 monuments built to honor Astoria’s early settlers. Every night, as its light turns on, it reminds Astoria residents of the strength, pride and resolve of their ancestors. Dedicated in 1926, the column was inspired by the Trajan Column in Rome. A hand-painted frieze that spirals around the column was designed by Italian immigrant artist Attilio Pusterla, and would be 500 feet long if unwound. The Column and the lovely park that surrounds it are among the most visited Astoria and Oregon attractions. Fort Stevens was built during the American Civil War and was once considered the main military defense outpost at the delta of the Columbia River. The fort served for 84 years, until the end of World War II. Today, Fort Stevens is a 4,300 acre park that offers the opportunity to learn about history and nature, and is a popular recreational site for the residents of Astoria. Located at the end of the Clatsop Plains, along the Lewis and Clark River, about five miles from Astoria, Fort Clatsop was built as the last Corps of Discovery encampment before their return trip east to St. Louis. 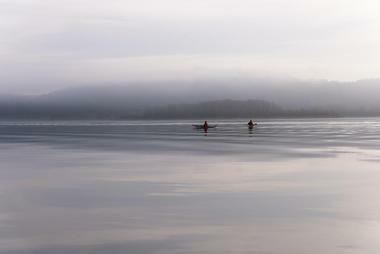 Lewis and Clark and their explorers overwintered in Fort Clatsop from early December 1805 to late March 1806. 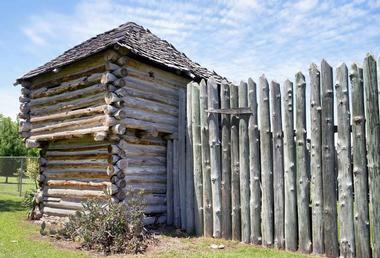 Today’s Fort Clatsop is an approximated copy of the original structure – there were no photos or descriptions of the original one. There is an interesting interpretive center that offers an exhibit and two films about Lewis and Clark’s expedition. Rangers in period costumes lead visitors through the fort and several trailheads, the most interesting being those for the Netul River Trail and Fort to Sea Trail. The site is now part of the Lewis and Clark National and State Historical Parks. The park covers diverse habitats that include forests, lakes, rivers, wetlands and the coastal regions and offer wonderful recreational opportunities. Rangers offer a number of guided tours. Crossing the Astoria–Megler Bridge is scary and exhilarating at the same time. This cantilever steel truss bridge across the Columbia River connects Astoria in Oregon and Point Ellice in Washington. The bridge is 4.1 miles long and is located about 14 miles from the mouth of the Columbia River. It is the longest truss bridge on the North American continent. The bridge was completed in 1966 and has one line of traffic in each direction. While pedestrians are not allowed on the bridge, once a year, in October, the bridge hosts the Great Columbia Crossing, a 6.2 mile race that uses the bridge to cross the river. The Astoria Riverfront Trolley is a three-mile long historic streetcar line in Astoria. The cheerful red streetcar travels by using the former railroad tracks along the Columbia River. It has been operating since 1999 with an original 1913 streetcar brought in from San Antonio, Texas. The very popular tram became a symbol of Astoria and is used both by tourists and locals to go around town. The line operates from May to September and is run by the Astoria Riverfront Trolley Association and its volunteers. It has only one car, popularly called "Old 300," which was bought almost entirely through the donations of Astoria residents. Located on the corner of 8th and Duane in Astoria, Flavel House is one of the most beautiful examples of Queen Anne-style architecture on the West Coast. The house was designed by German-American architect Carl W. Leick and was built in 1886 for the prominent Astoria river pilot Captain George Flavel as his retirement home. 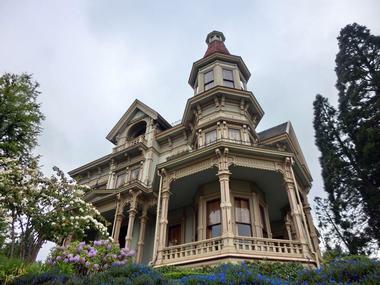 The Flavel House today reflects the elegance and beauty of the Victorian era and portrays the history and lifestyle of a prominent Astoria family. Today, the house serves as a museum and is managed by the Clatsop County Historical Society. Much of the furniture and décor of the two and half-story 11,600 square foot home have been preserved, including six unique meticulously carved fireplace mantels, plaster medallions, crown moldings and crystal chandeliers. Visitors who love the outdoors are in for a treat at Fort Stevens State Park. Clatsop Spit, also known as Clatsop Sands, is a giant sand spit between Tillamook Head in Clatsop County and Astoria. It was formed over 8,500 years ago when sediment from the Columbia River was brought to the coast by the river flow and then shaped by the wind and waves until the plain was formed. Visitors can take panoramic pictures of the river and ocean vistas, and views of large freighters making their way to Portland can be seen. There’s also a number of wildlife that visit the area including brown pelicans, the world’s largest colony of Caspian terns, elk, seals and sea lions. Fort Astoria, also known as Fort Astor, is the first permanent American settlement west of the Rocky Mountains. Settled by employees of John Jacob Astor’s Pacific Fur Company in 1811, it soon became a hub for regional fur trade and plays an important role in Pacific Northwest history. A combination of natives, many French Canadians, Americans, Scots, Native Hawaiians and Native Americans were the first to call Fort Astoria home. 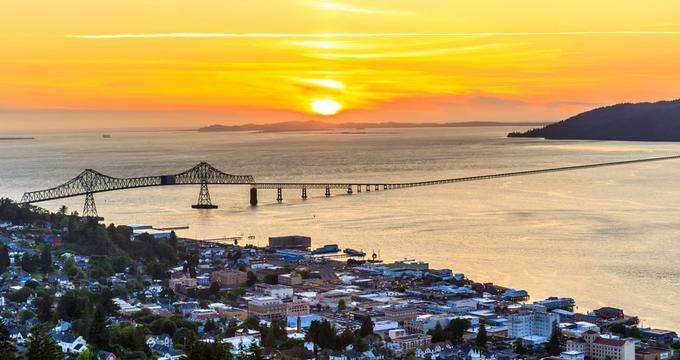 Visitors can see a vital part of Astoria’s history here, which is now filled with a commemorative park and architectural wonders in the form of residential and commercial structures and railroads. Lovingly known as ‘Hollywood North,’ Oregon has been the sight of many movies, including classics such as One Flew Over the Cuckoo’s Nest, Animal House, Kindergarten Cop, and of course, The Goonies. This is because Oregon’s landscapes provides various magnificent backdrops such as riverside, mountains, and deserts. 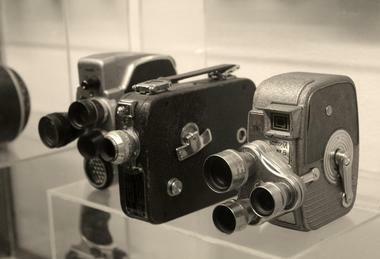 The Oregon Film Museum captures the history of films and film-making in Oregon through various exhibits and activities. The building which the museum is housed in was once the site of Clatsop County Jail, which itself was featured in movies including the famous opening jailbreak scene from The Goonies. Visitors can wander through the halls exploring exhibits such as the ‘Hot Set,’ where they can see how a major motion picture is made or ‘The Goonie Gallery,’ which is filled with memorabilia from the famous movie. 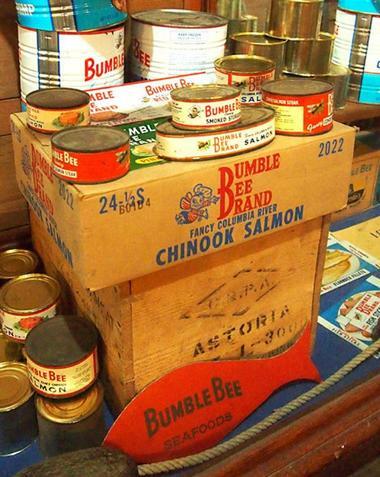 Strolling through the Bumble Bee Cannery Museum in Astoria, you can easily imagine yourself being a fisherman on one of the old gillnet boats that used to bring fish for canning at the Bumble Bee Cannery. 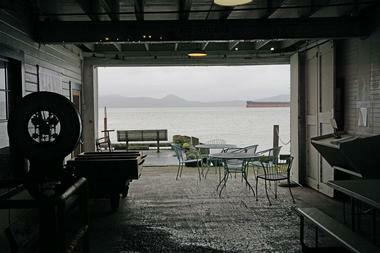 The museum, which is located at Pier 39, is the oldest processing plant on the lower Columbia River. It features a huge industrial freezer you can actually walk in, old canning equipment, fishing boats, photos and many artifacts. It colorfully portrays the history of one of the world’s strongest and largest seafood marketing companies, which in its heyday provided many jobs, food on the table and the hope of a better future for many Astoria residents. 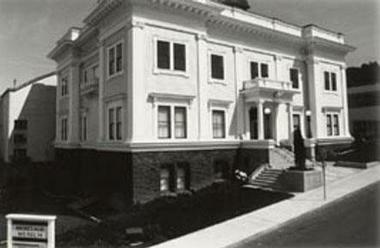 Located in Astoria’s Old City Hall building, the Heritage Museum is placed along with the Historical Society’s Archive. The neoclassical structure itself is a huge part of Astoria’s history, having been designed by prominent Portland architect Emil Schacht. Visitors can experience Clatsop County’s rich history in the museum’s many temporary and permanent exhibits and galleries. Some of the items on display include Clatsop Indian baskets, a 19th century Chinook, a 1,000 year old hunting implement, and many other artifacts that represent Fort Astoria’s early history. In addition to these items on display, visitors can also see a reconstructed Astoria saloon that was famous during the Prohibition. The Astor Street Opry Company, also known as ASOC, has been around for over 25 years creating exceptional shows and nurturing a connection between artists and the audience through live theater. 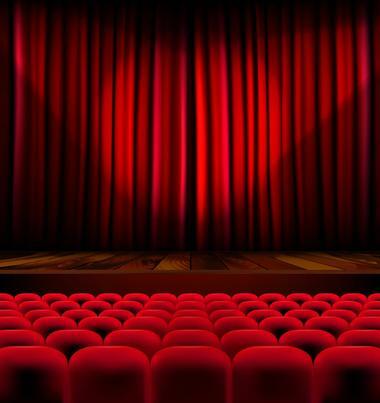 The shows are filled with artists of all ages and backgrounds who come together in their combined appreciation for local traditions, Astoria’s rich history in the arts, and their love of the stage. 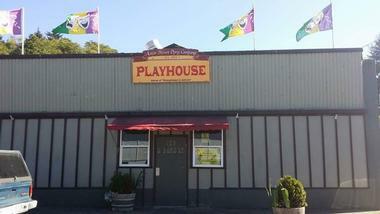 Visitors can enjoy various live theater performances at the ASOC Playhouse and get a better understanding of the community through live action, dance, song, storytelling and humor. One of the famed shows is ‘Shanghaied in Astoria,’ a play that appeals to a diverse audience and shows a varied stance of Astoria. The Astoria Sunday Market is a great place to see the people of Astoria; a collection of artists, artisans, craftspeople, farmers and other small business owners come together at the historic marketplace in Downtown Astoria. Visitors can not only meet the many people of Astoria but can also leave with a bag full of local goodies and treats. It is Oregon’s second largest market of its kind and has over 200 vendors each week with locally-made products and foods – jewelry and baked goods are a must try! Visitors, tourists and locals gather every Sunday, and the lively food court is filled with foods to satisfy any palette and usually has various entertainment such as live band performances. Named the ‘Best Historic Venue in Oregon’ and placed on the National Register of Historic Places, Liberty Theater originally opened in 1925. It was restored by the local community and relaunched in 1991 as a concert hall, performing arts center and event venue. Perfectly resembling a ‘20s-style vaudeville motion picture theater, Liberty Theater is fitted with Italianate décor and gives visitors the opportunity to experience what it would have been like back then. There are many events scheduled throughout the year including the Astoria Music Festival, the North Coast Symphonic Band, and other featured events. Original adaptations are also on stage throughout and are a must-see for visitors. Departing from Astoria’s West Mooring Basin, Columbia River Eco Tours take visitors on a journey through Astoria while cruising down the Columbia River. Visitors will see sites such as Astoria’s historic waterfront, the Astoria-Megler Bridge which connects Oregon and Washington, the Lewis & Clark National Wildlife Refuge, and the Twilight Creek Eagle Sanctuary where visitors can view Bald Eagles, Great Blue Herons and Canadian Geese. Other sites include Pier 39, the Coast Guard Station, floating homes, salmon nurseries, and huge freight ships by the main channel shipping lanes. There are so many opportunities to make memories on the Christina Cousteau, a 40 foot Tollycraft Yacht that the eco tours are conducted on. Bridgewater Bistro greets you with the most dramatic dining room in Astoria. Spacious and rustic, the dining area features a cathedral ceiling, ancient fir beams and large windows offering a view that seems to go on forever. 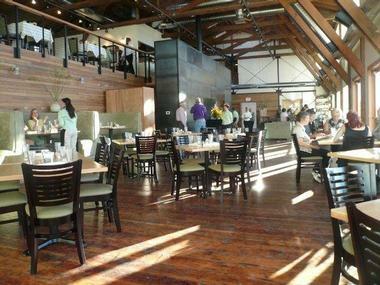 Located in the former boatyard that once served the Union Fish Cooperative Cannery, Bridgewater Bistro has only 35 tables, each situated to give guests optimal views of the bridge, river and Washington state. In addition to the amazing scenery, Bridgewater also offers exquisite small plates of seafood such as Dungeness crab cheesecake, paired with 255 bottles of carefully selected wine, with almost 30 available by the glass. All food is fresh and locally sourced, the flavors are imaginative and interesting and the prices are reasonable – an irresistible combination. Located about 10 miles south of Astoria lies Young River Falls, a 54 foot tall waterfall that flows into a pool beneath. The falls are a popular place for locals and visitors to cool off during the hot summer months, swimming and relaxing with family and friends. It’s been made even more popular as Young River Falls has been in many movies, most notably Teenage Mutant Ninja Turtles 3 and Free Willy 2. Many tourists flock to it to recreate scenes from the movies, so there’s usually a large crowd. Visitors should note that there are no facilities nearby, but thankfully the town is only a few miles away and visitors can get refreshments or have meals there. Dining room, bar and pizzeria, Baked Alaska is a spacious, airy, chic restaurant located on a pier overlooking the Columbia River. Natural materials and spectacular views create a pleasant atmosphere whether you are in the dining room, in the funky bar with industrial finishes or in the family-friendly pizzeria where kids can have fun assembling their own pizza. Charismatic chef and owner Christopher Holen will treat you with his imaginative fare prepared with local sustainable ingredients. Pizzas are fantastic and the sandwiches made in freshly baked pizza dough are divine. The bar has a 30 foot long counter and offers more than a dozen local and foreign beers on a rotating basis, as well as wine, including Baked Alaska’s own signature brand. 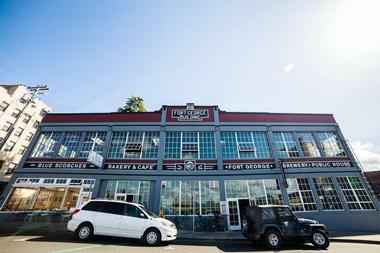 Fort George Brewery is located in the former Lovell Auto Building, carefully renovated to provide a home for a 30-barrel brewhouse, canning and taproom, with huge wooden beams, board games, books, puzzles, a large TV featuring sports, foosball table, shuffleboard, great food and even better beer. About 40 kinds of beer, homemade sausages and burgers and live music make Fort George Brewery a popular place to spend an evening Wednesday through Sunday. On Saturday and Sunday, beer fans can visit the brewery, check out the process, and taste the latest concoction. Fort George original crafts beers are distributed only in the Northwest. The Astoria Music Festival has been an Astoria-famed event since 2003. 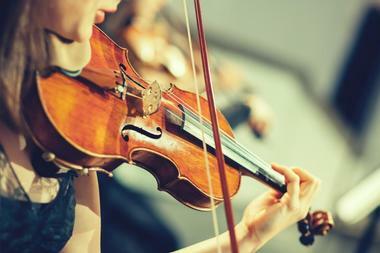 Every June, renowned and amateur musicians come together for 17 days of operatic, symphonic and chamber music concerts. Many major international soloists, featured artists, and local churches and colleges are invited to come perform by Artistic Director, Keith Clark. The festival has accompanying apprentice programs which offer training for young pre-professionals singers and musicians. 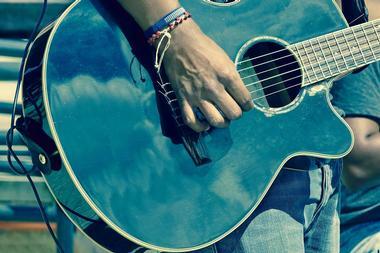 There are similar workshops and opportunities for adult amateur musicians. The festival isn’t restricted to one place, as they collaborate with other organizations for a free “Music Around Town” event so that locals and visitors in Astoria can experience the musical delight throughout town. 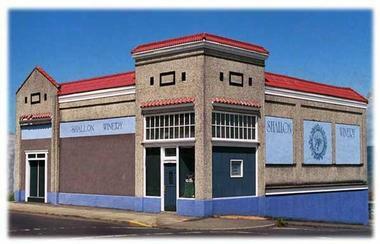 The Shallon Winery in downtown Astoria came to be in 1977; the building was built and owned by well-known architect John E. Wicks in 1925. Having been an automotive showroom and a freezer-locker prior, the building underwent extensive remodeling to convert it to a winery and it now has a manufacturing room, storage room, full laboratory, printing room, tool room, office, and tasting room. Visitors can enjoy a relaxing glass of wine in the tasting room while overlooking the Columbia River and rolling hills in Washington. Visitors are also invited to tour the lab and see how things are trialed and tested at Shallon Winery. 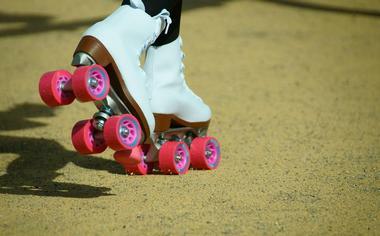 Mostly for women, but welcoming all people, the Shanghaied Roller Dolls (SRD) are a non-profit flat-track roller derby league empowered by a community of junior and adult league skaters, officials, and other volunteers. Founded in 2011, SRD empowers people to be kinder, smarter and stronger, while having fun and enjoying life. Visitors who are in Astoria for a longer period of time can join the league, and those just visiting can go enjoy a game or two and cheer the Dolls on. It’s a great opportunity for visitors to see how the women of Astoria come together and have fun, while being supportive of each other.